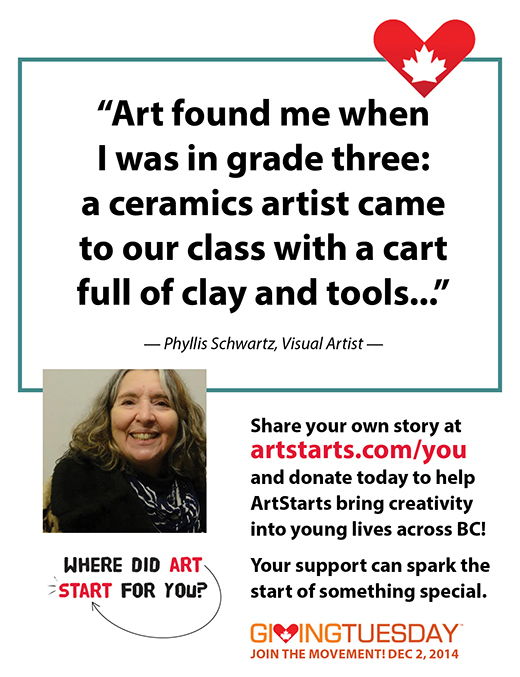 Art found me when I was in grade three: a ceramics artist came to our class with an art cart full of clay and clay tools. I remember also that this same artist returned with our bisque ware and a cart full of paint and brushes. I gifted that yellow pot with brown spots to my mother, and always had that pot somewhere in her home, perhaps a message. A few years later, my father signed me up for drawing lessons, and it seems another art fire sparked. Soon, I found myself in art stores trying out pencils that I would buy with my allowance. I came to fill countless notebooks with drawings, a habit that continues to follow me. Cameras were always part of our family activities, and I took cameras to camp, where I made portraits of my camp friends. Cameras also came to go everywhere I went. And then clay found me again, consuming me until I found my way back to school to study fine arts like I probably wanted to all along.